Tinder is the widely popular dating app that lets people judge potential matches in their geographical area by their looks and a very brief bio. All you have to do is swipe left on a match you're not interested in or swipe right on a match you like. It may be a shallow and unlikely way to meet an ideal partner, but if there's anything that Tinder did right, it's definitely the GPS-driven matchmaking and simplistic "yes" or "no" gesture-based interaction that the entire app revolves around. 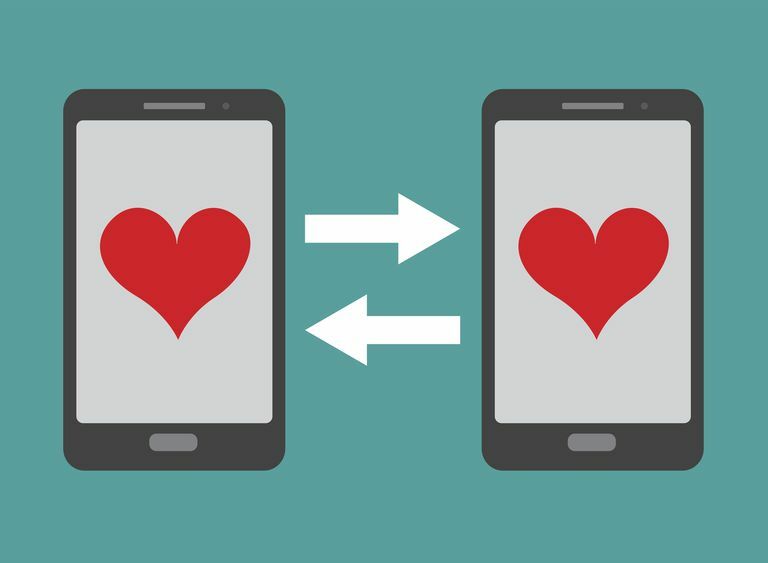 Other developers have taken inspiration from Tinder's iconic approach to find matches, and since then we've seen Tinder-like apps for almost anything our hearts desire. If a traditional relationship or casual cuddling isn't the exciting type of match that you're looking for, well then there's Feeld, which is basically Tinder for threesomes. The app connects you with open-minded couples and singles with similar desires and lifestyles in your area. When you find a match, swipe up. There's even a premium version offered as an upgrade. Are you looking for a furry canine companion instead of a human one? Then BarkBuddy app is almost exactly like Tinder, but for dogs that need adopting. BarkBuddy connects you with cute pups that need a home. Once you've found an adorable dog you'd love to bring home, you can get in contact with the rescuer or shelter right through the app. Need a new job? Blonk is a Tinder-like app that connects you with employers who put out job listings in your area. The app even lets you build a profile and list skills so the most relevant jobs can be matched to you. When you find a job that interests you, tap "yes" to let the employer know, and if they like what you've got to offer, they may initiate a chat through the app to get in contact with you. Tinder is a popular choice for young adults looking to meet new people, but what about older, more mature people? Stitch is very similar Tinder but focuses on a different demographic. The app matches older people who are looking for real companionship at whatever stage in life they may be at. It also matches people based on other details, like personal interests, for more meaningful connections. Despite there being tons of options out there to stream music, discovering new music still isn't the easiest thing in the world. SongHop is all about music discovery, and it works by letting you listen to short samples of songs so you can rate them according to your personal taste. The app then uses your best ratings to create a playlist out of them with full-length songs and even Spotify integration. There are a lot of dating sites and apps out there, but what if all you're really looking for is some quality cuddling time? Spoonr was an app that connected people in a local area who were open to meeting up to cuddle. Unfortunately for those looking to snuggle up to somebody in their local area, this app has since been discontinued. Do people still even create Facebook events? KickOn used to be an app that was like Tinder for big events and afterparties. You could find events happening around you in your area and send a request for an invite. Event hosts could also review all requests, approve only the ones they wanted and even issue a unique QR code to people invited so you can keep tight control on who gets in. This is another app that unfortunately didn't stick around for the long haul.